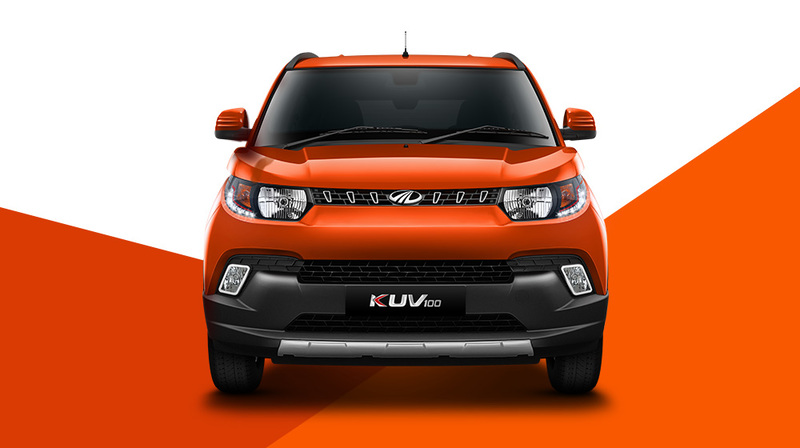 India’s popular car manufacturer Mahindra who owns almost 50 percent SUV market share, today unveiled the name of Mahindra KUV100 – the company’s first ever compact SUV targeting the youth. This compact SUV KUV 100 from Mahindra which will be officially launched on 15th January 2016 is an another feather on Mahindra’s cap. Mahindra internally has code-named this product as S101, there were numerous spyshots of Mahindra KUV100 ( which we earlier assumed it to be as XUV100). While the media houses had already guessed this car as compact SUV – the name of the car was not revealed. On today’s event ( December 18) , Mahindra has officially revealed the name of the compact SUV – KUV100. Mr Vivek Nayer, who is the chief marketing officer of Mahindra‘s auto division revealed details on how the research was conducted before the product was designed. He revealed, Mahindra’s research found out that they were missing an important part in their huge band of SUVs – and found out it was youth segment which mattered a lot. Mahindra’s KUV100 has been built keeping today’s youth’s attitude in mind – the stand out nature, freedom and liberation, the restless factor which is present in the youth has been factored in while designing the Mahindra KUV100. 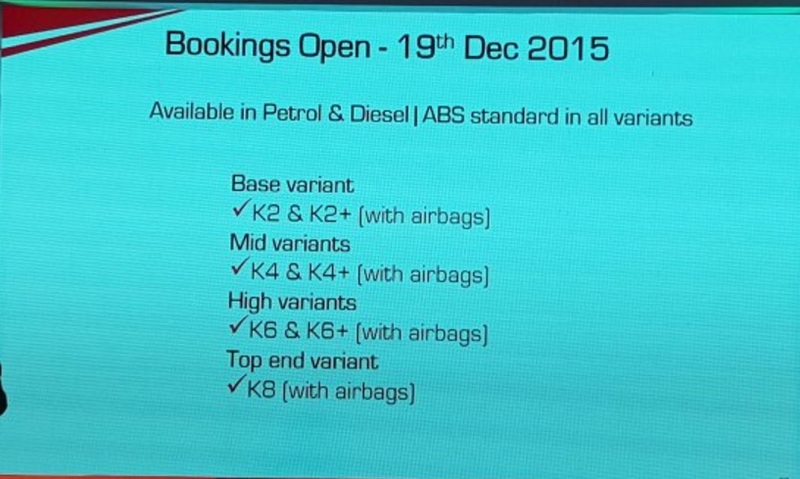 The upcoming Mahindra KUV100 shall be introduced in both diesel and petrol engine. The mFALCON G80 petrol engine with engine capacity of 1198cc delivers a power of 82bhp at 5500 rpm and a torque of 114 Nm at 3600 rpm. There is also mFALCON D75, turbocharged CRDe, BS IV Diesel engine whose engine capacity is 1198cc produces a power of 77 bhp @3750 rpm with a torque output of 190 Nm at 2250 rpm. Both the petrol and diesel engine is graded with emission level BS IV and is future emission protected. 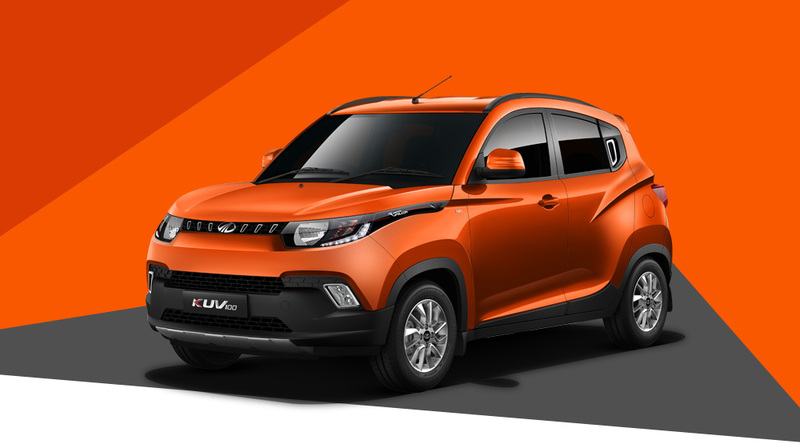 The upcoming KUV100 from Mahindra will be offered in 4 different variants and all of the variants comes with optional airbags as safety feature – the base variant KUV100 K2, K2+ , the mid variant KUV100 K4, K4+, the high variants KUV100 K6, K6+ and the top end variant KUV100 K8. Although the launch date of Mahindra KUV100 has been officially revealed (which is on January 15th) the price of the Mahindra KUV100 has not been revealed. We expect the Mahindra KUV100 to be priced pretty competitively giving a tough competition for other compact SUVs in the market like Ford EcoSport, Creta and others. Mahindra KUV100 price could be around 5 to 6 lakhs and above. One of the Mahindra’s spokesperson ruled out the cannibalization effect within their SUV segment and said the KUV100 is going to create its very own segment in compact SUVs. For the first time Mahindra has also revealed the official product pictures which you can see it above. Check out all the colors and photos of Mahindra KUV100.